Love you, Summer...I really do. Especially this one. The weather has been amazing - low humidity and sunny skies which means lots of bike and scooter riding while Mama walks sad face Roxie. And Blake won the 'Miss Smiley' superlative at Vacation Bible School. Her teacher said she smiled the whole time she was there which made me so very happy to hear. We've been busy planning and building up our inventory for our two Fall shows. Quite a garage workshop set-up we've got. Thankful my partner can run with my ideas - I mean, how awesome are the custom jewelry displays he created? Although we are drinking a lot more coffee (loving my new mug! ), we are also finding time to relax while watching our favorite show. I am so happy with how our upgraded product tags turned out - Moo business cards knock my socks off! The girls and I headed to PA for a little getaway last week. We love escaping to the country where the girls have a love/hate relationship with the cows (they LOVE to see them but constantly ask about the bad smell)! 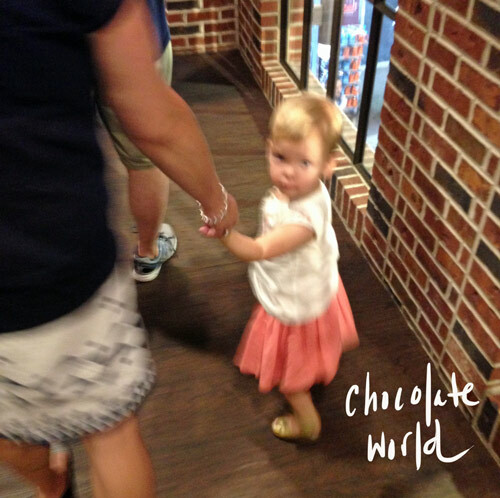 We got to spend a lot of time with family/friends and took a day trip to my hometown to visit our favorite salon, pizza joint, and Chocolate World. 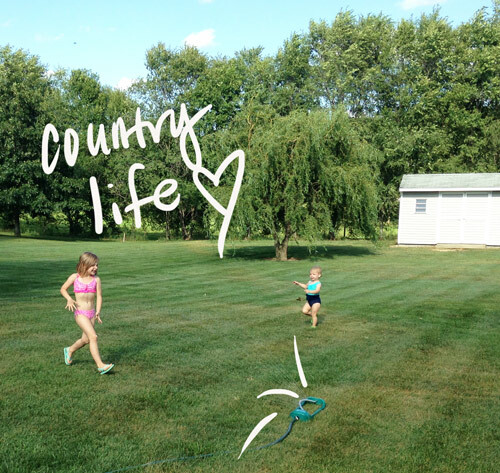 Seriously, nothing better on a Summer day than green grass, sprinkler fun, and cold popsicles!